All good things come to those who wait as the saying goes. The wait for Palestinian singer, musician and broadcaster Reem Kelani’s second album is over. She has just released her second CD entitled Reem Kelani: Live at the Tabernacle, which is a live recording of her concert at the Tabernacle, London, on 22 November 2012. Reem was born in the UK, but raised in Kuwait by Palestinian parents. Intimately familiar with the music of her native culture, she grew up to become an unofficial cultural ambassador for the art and poetry of Palestine. Reem sees her albums as “a project, not a product”, hence the gap between her first album in 1996 and her new offering. The concert formed part of Kensington & Chelsea’s Nour Festival, organised that year by Alan Kirwan. The album is beautifully presented, consisting of two CDs, with almost 80 minutes of playing time and a substantial and enriching album booklet. 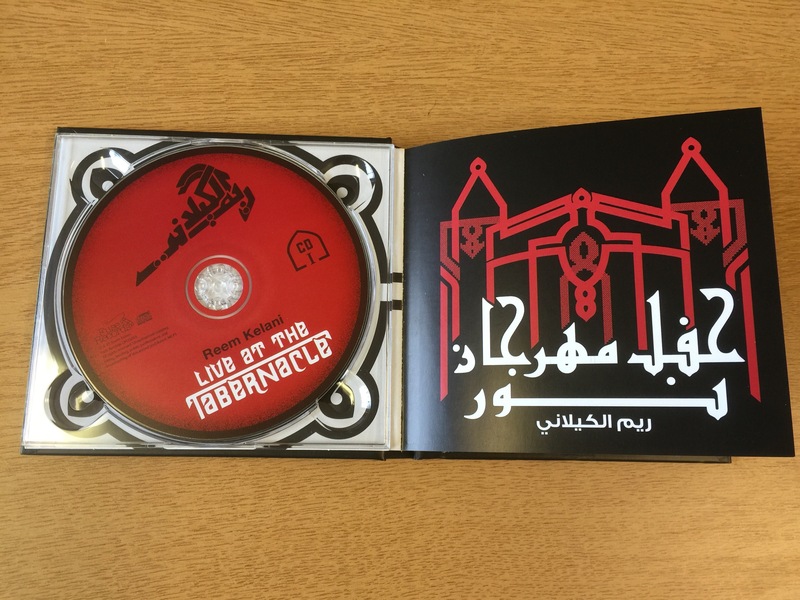 Each CD also includes a PDF version of the booklet which can be opened on your computer. The first CD includes a short promotional film by the Venezuelan filmmaker Ignacio Crespo Valdez, in which Reem talks about her music and about the making of this album. Reem gives her audience an insight into traditional Palestinian wedding celebrations which lasted for days and in which songs and the traditional Dabka dance played a major role. Hawwilouna or “Let us in” starts us off describing the arrival of the groom’s family at the bride’s home to take her away. The lyrics are a mix of the groom’s family boasting and teasing. O Lord of all mankind! You, who plan to go away! The theme of parting and exile continues with Furaqiyyat or Songs of Parting. 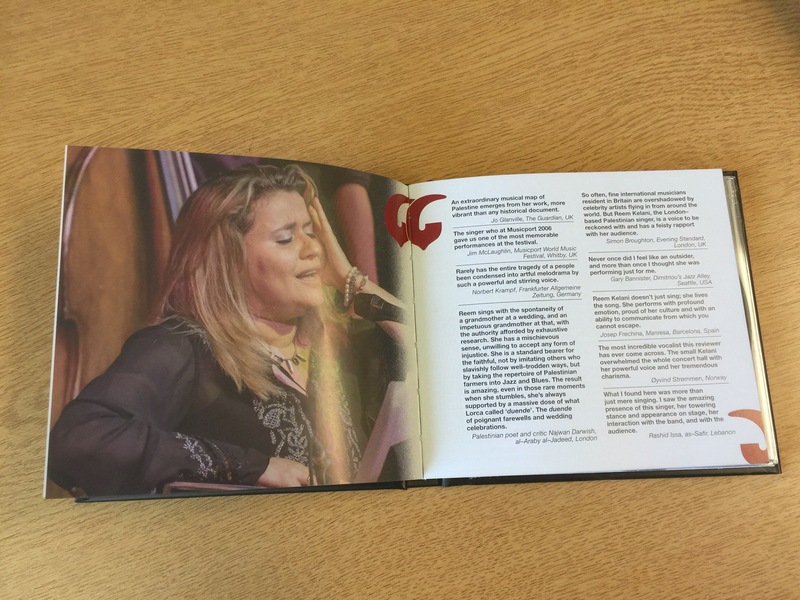 The last song of the first CD moves us nicely onto a major project Reem has been undertaking, researching the Egyptian composer Syyed Darwish. It was during one of Reem’s field trips to Egypt, researching some of these very songs, that Reem found herself in the middle of the Egyptian revolution. She later reported on the music of the revolutionaries in Tahrir Square in her radio documentary Songs for Tahrir on BBC Radio 4. The Porters’ Anthem is an example of his songs about society’s downtrodden and marginalised at the turn of the 20th century. The song alludes to political events such as the 1919 Revolt against British rule. As well as holding strikes and demonstrations, damaging railways and derailing trains, the 1919 revolutionaries cut telephone lines and telegraph cables in order to isolate Cairo from London. The second CD continues with Sayyed Darwish’s Preacher’s Anthem but also a composition by Reem dedicated to Sayyid Darwish. It also includes a specially edited excerpt from the French film-maker, Axel Salvatori-Sinz’s award-winning documentary film Les Chebabs de Yarmouk, for which Reem composed the title music Yarmouk. The lyrics of the song were penned by Iyad Hayatleh, the Glasgow-based Palestinian poet and son of Yarmouk refugee camp in Damascus. While this was written at the outset of the Syrian troubles, Palestinians in the refugee camp continue to suffer to this day. This is Yarmouk! This is Yarmouk! The irony here is that from longing for a return to Palestine, refugees from Yarmouk long for a return to it on the way back to their homes in Palestine. Reem’s set at the Tabernacle also included a Tunisian track from her collaboration album with the AntiCapitalist Roadshow (featuring Leon Rosselson, Roy Bailey, Peggy Seeger & Robb Johnson, amongst others). This demonstrates the diversity and richness of Reem’s musical collaborations. This richness and diversity in her music is also reflected in the composition of her band at the Tabernacle concert. This included a Jazz rhythm section comprising Bruno Heinen on piano, Ryan Trebilcock on double bass and Antonio Fusco on drums and percussion. The concert also featured a guest appearance by the acclaimed Palestinian musician Tamer Abu Ghazaleh on ‘oud. Over the years, Reem has introduced many non-Arab musicians to the theory and practice of Arabic music, including the exceptional rhythm section which accompanied her in this concert. Moreover, she has facilitated opportunities for her band members to work with musicians from Palestine, Syria, Egypt, Turkey and Iran. 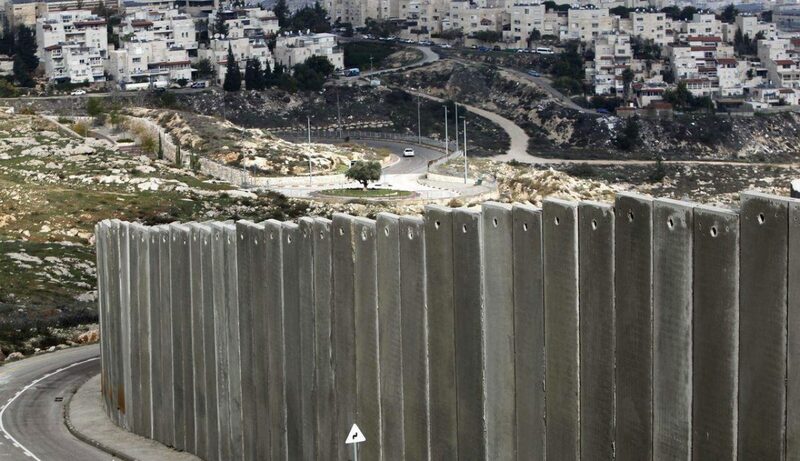 Reem has been described by the British media as an “unofficial ambassador” for Palestine. However, as this album demonstrates, she is far more than that. Reem told me when I spoke to her about the album that her audiences tend to mirror the population in the country she is performing in. Thus, she brings the richness of Arab culture and music to audiences across the world. What of the future? Reem tells me she is continuing to work on a new album of Palestinian songs, a duo project with jazz pianist Heinen, and on her vast project on the Egyptian composer Sayyid Darwish. She also continues to devote much effort to workshops, master classes and presentations in schools and colleges and with community groups and choirs. Reem plans to launch her new album later this year. Judging by the reaction of audiences at her previous concerts this is one not to be missed. Impromptu audience participation is a must!